While it is important for you to be able to scale up and overcome obstacles with your agile reflexes, you’ll need speed and stamina to ensure that those behind you are, well, behind you. High Intensity Interval Training (HIIT) is a short and intense workout that is aimed to improve your cardiovascular fitness and enhance your running speed. Before beginning, please consult your doctor before attempting any workout program. This workout program should be done 3 times a week, with at least a day of rest in between for recovery.It is going to be intense, so remember to hydrate yourself sufficiently and to conduct proper warm ups and cool down accordingly. 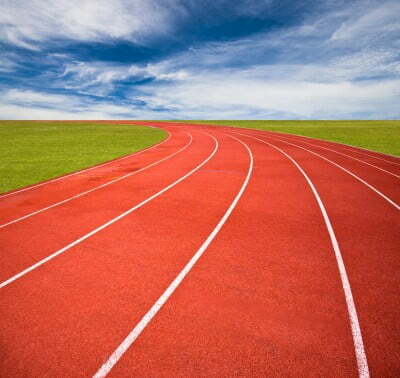 Begin by jogging on the track for one minute to get your engine started. Next, sprint as fast as you can for 30 seconds. This is followed by a 60 seconds jog (passive recovery. Repeat; sprint off again for another 30 seconds, following with 60 seconds of passive recovery (jog). This will take you exactly 7 minutes if you are doing it correctly. Take note, there are no full rest periods between sets. Regulate your breathing as much as you can during your passive recovery period (60 secs jog) before bursting into the next set. Be patient and consistent with your training. Start with this simple workout and as you progress, increase the intensity to 120:240. You will run faster with much ease by the weeks. Only you can decide your way of the ninja.